We had 60+ folks for Bergen County Audubon Society's Birding For Beginners Class and walk at DeKorte this afternoon. 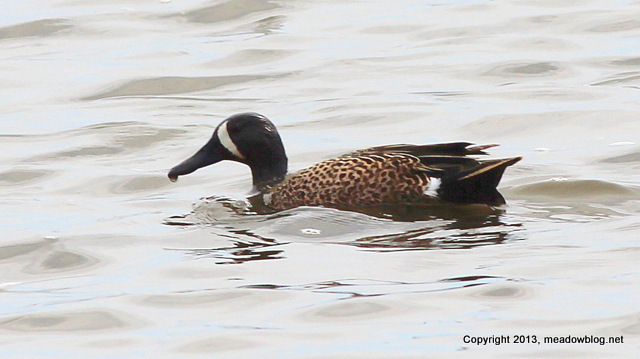 Highlight of the walk — a pair of close-in Blue-winged Teal in the Shorebird Pool. Photo of one is above. We will print the full list of species that were seen — including a rare Treehog — later this week. Great Wren-o-Mania Walk This Morning! We had a great turnout (50 folks) for our DeKorte Walk this morning. We didn't see any wrens, but we sure saw a lot of of other nifty species, topped off by a Bald Eagle overhead at 11:58 a.m. 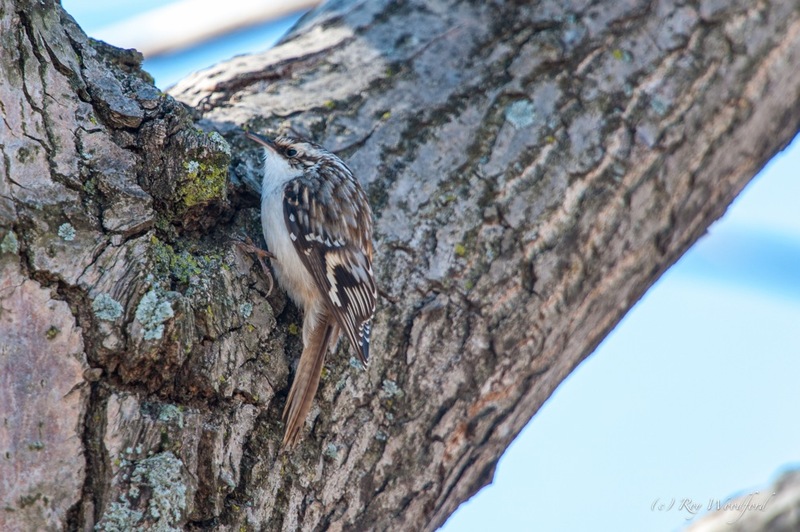 Highlight of the morning: a Brown Creeper that loved having its picture taken. Tomorrow: The full list of what was seen on the walk.